For centuries, tourists to Paris have visited the same itinerary of sights, including Père Lachaise cemetery. 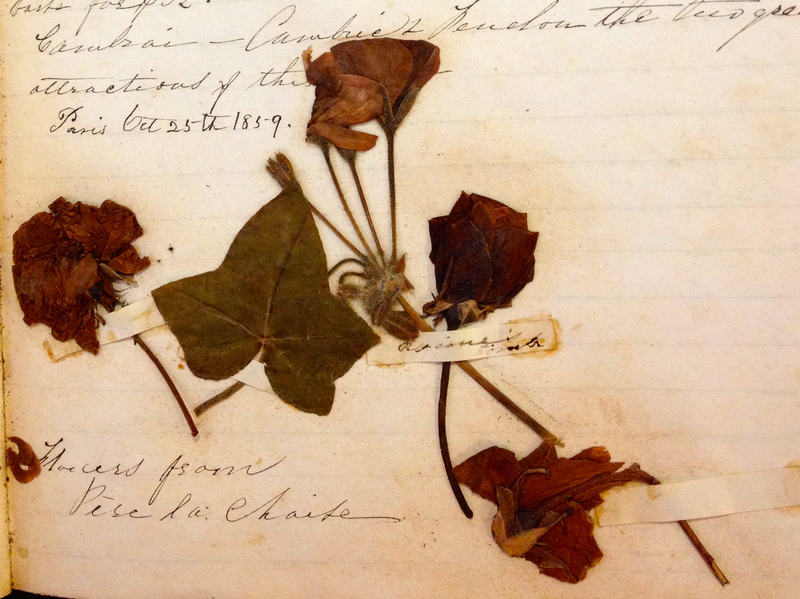 Jane Poultney Bigelow took these flower clippings from Père Lachaise on her first visit to Paris, in 1859. Sewn into her diary, the flowers still retain much of their original coloring. Published: August 2, 2013 Dimensions: 2161 × 1618 Posted in: Archives Gallery Post a comment or leave a trackback: Trackback URL.